One of the biggest questions (after where are the best fries) I get is why, after almost four hundred entries and reviews at French Fry Diary, why have I never covered McDonald's? It's simple. It's a big entry. McDonald's is the big one. 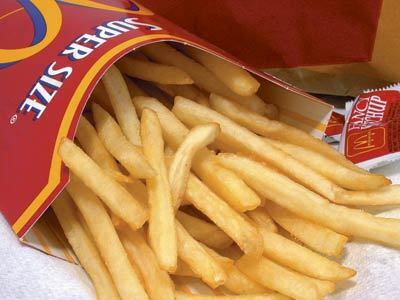 McDonald's French fries are the gold standard when it comes to fast food French fries - simple, consistent, and delicious, they are literally the world's number one fry. This is from the text on their Small Fry: "What's the secret? It's the potatoes. 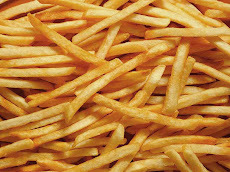 Only the best potatoes make it into our World Famous Fries." And they are world famous. Everyone knows McDonald's French Fries. In fact, The official Fry Box Design (trademark), that special red fries holder, is what most people think of when they think of not only fast food fries, but fries in general. It's like the Coke bottle. It is that distinctive. From the early days of McDonald's, founder Ray Croc was insistent on how the French fries were prepared, knowing how important a compliment they were to the meal. The shoestrings in the beginning were fresh cut from Russet Burbank potatoes on the premises, and Croc always strove for consistency. Every time you had a McD's fry it should taste just the same, and just as good as the last time, and the next time. He was looking for consistent quality. When the chain expanded, costs had to be cut, measures were taken to insure that consistency, so in 1966, McDonald's turned to frozen French fries. The product was now peeled, sliced, par-fried and frozen in factories then shipped to restaurant locations to be finished in deep fryers and served hot to customers. Even today, McDonald's is the biggest consumer of potatoes in the world. For decades the fries were cooked in a roughly 90/10 mix of beef tallow and cottonseed oil. After flack from vegetarian lobbies and nutritionists, the formula was changed to 100% vegetable oil in the early 1990s. This new style made the fries devoid of cholesterol and transfats, and also made them more palatable to folks who could not or would not eat meat. At that time McDonald's may have added things like a sugar additive or possibly a chemical that makes them smell delicious, but that's one for the conspiracy theorists. In the early 2000s there was some dispute regarding whether the ingredient called 'natural flavor' may or may not have a beef extract in it. That battle still continues. On another front, McDonald's fries in the rest of the world except for America are gluten free, because they have dedicated deep fryers. Unfortunately the same can not be said here in the States, as sometimes, a Fry fryer will be used for something else in an emergency. Now I've talked about consistency, and that's important. Wherever you go to a McDonald's, you are guaranteed to get the same great taste, texture, and appearance. Every once in a while you'll get undercooked and limp, or overcooked and crunchy, but those are the exceptions, not the rules. MacFries are always crispy, hot and golden brown. They come in a variety of serving sizes - small, medium, large, and the miniature kids size that now comes with Happy Meals. They reheat well in the oven, but not so well in the microwave. They are excellent on roadtrips with a quick jump through the drive-thru. They are amazing for shake dipping, and being shoestrings great for sandwiching. 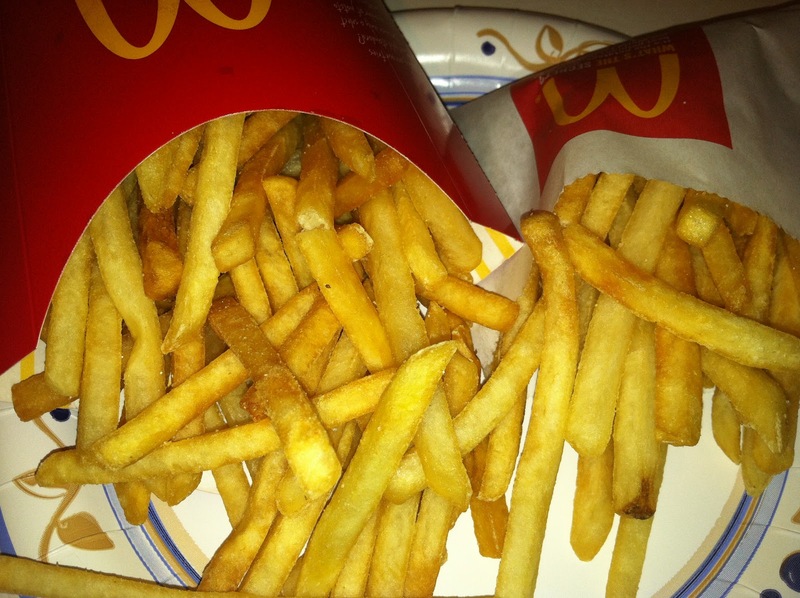 The McDonald's French Fry is truly the gold standard for fast food French fries. 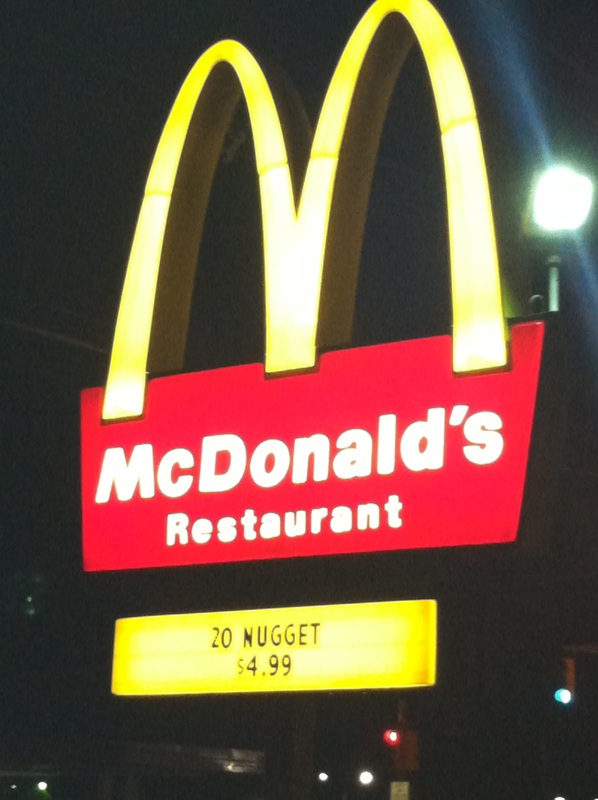 Oh man - you definitely have better luck than I do with McD's. When just fried and still hot, I agree, McDonald's fries are some of the best in the business. Not my favorite - those are Del Taco - but probably top 3. However, I get fries that way only about 25% of the time at McD's. There are actually a few local McDonald's that -always- get it right, namely Marlton, Hammonton, and Camden, just to mention a few, but yeah, they are not all perfect. And you have peaked my interest with Del Taco - a few folks have recommended them before. Maybe the next time I'm in Orlando I'll hit them up. Their crinkle cuts look tasty. You are absolutely correct about the McDonald's french fries. 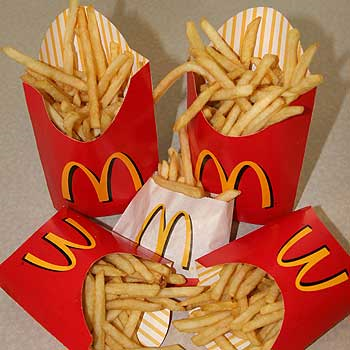 Whenever you eat fries in a fast food place, you compare it to McD's. Anonymous, did you take a picture of the seahorse fry?